My quest to keep my son dry through the night led me to try several things. Our Bumgenius 3.0s were working well for a while, but I was having to add so many doublers to the diaper that it was creating a leg gap. Since my son recently started rolling over on his side at night, this was a problem! I started reading reviews of inserts on diaperpin as well as many online stores. The reviews led me to Knickernappies. The LoopyDo 2G prewashed inserts have 2 layers of hemp french terry as well as 2 layers of microfiber. Hemp usually requires prepping to remove the natural oils and make it absorbent, but these inserts are prewashed so you an use them right away, though they will continue to become more absorbent with subsequent washings. Those 4 layers are sewn in a loop so they dry more quickly, saving time and energy costs. They come in 3 sizes: Small measuring 12″x5.5″, Medium measuring 14″x5.5″ and Large measuring 16×5.5″. I should have purchased a medium, but I bought a large instead. I simply folded a portion of it over and stuffed it into the pocket diaper (like a bumgenius one size insert, minus the snap). It worked wonderfully, though obviously a little bulky. Not a big deal for me since I was using it at night only. It was wide enough to fill the whole pocket as well. I have a problem with a few of my pocket diapers where the included insert is narrower than the pocket, allowing for gaps and shifting, which always leads to leaks for us. I used the LoopyDo in a Bumgenius 3.0 pocket diaper on the medium setting, along with the BG insert and a hemp doubler. I had no leg gap and no leaks, though all of the inserts were saturated in the morning. I would definitely use a LoopyDo in any pocket diaper for naps, car trips and so forth, but I’d buy the appropriate size. It’s too bulky for daytime when folded over. I also bought a SuperDo 2G prewashed insert. These have SIX layers of hemp terry and two layers of microfiber. 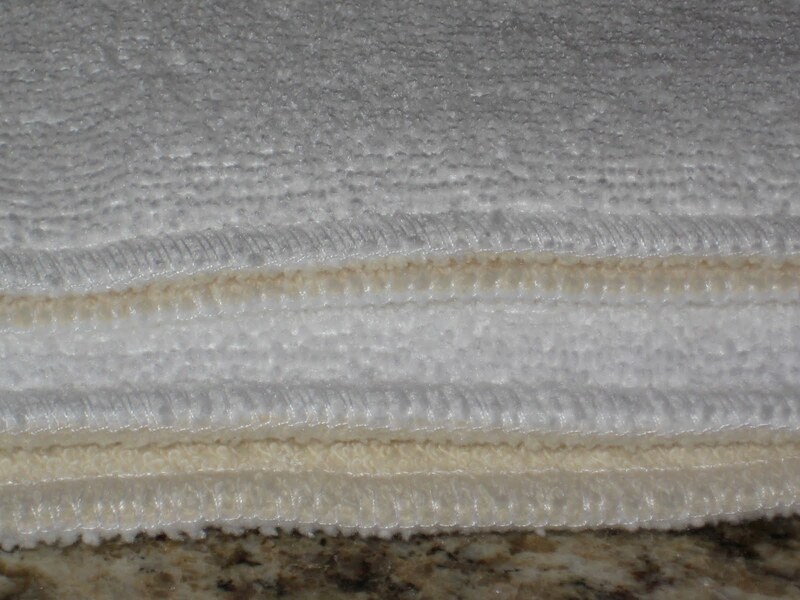 This insert is made for heavy wetters and overnight, and is more absorbent than two microfiber inserts together. Other than the # of layers, it is the same as the LoopyDo. Here it is in a Drybees Fleece night time diaper. I bought a large in the SuperDo as well and I definitely should have bought the medium. I am able to use it in my medium diapers but it is much, much too bulky and creates gaps. I should buy a medium but with a $12.95 MSRP, it will have to wait. I’ve spent way too much money on my night time diapering quest over the past month! Here you can see how much thickness the extra 4 hemp layers in the SuperDo (bottom) add over the LoopyDo (top). Here you can see both Knickernappies inserts compared to a Bumgenius insert. The only thing I don’t like about these is that they are sized. Well, I like that they are sized, it really reduces the bulk. My wallet doesn’t like that they are sized! In short, if you are looking to purchase an insert, buy one of these! I bought mine from Abby’s Lane. Good prices and fat and free shipping! >I hope they work as well for you as they do for us! >just took the plunge and bought one. thanks for the recommendation!